This old lady is going to rush streets during Halloween time. Get all points! 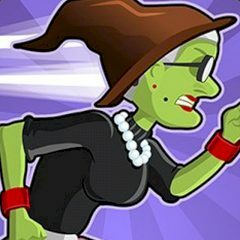 This Angry Gran Run game takes place on Halloween and you must be brave. Don't get scared by all those creepy things and continue the run!